The holidays never come soon enough for most of us with many opting for foreign travel and the chance to escape the UK and the unpredictability of English weather. 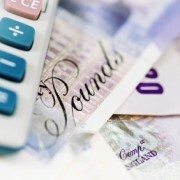 With hard economic times it might be tempting to skip the trip abroad and stay local to save money. However, before you do why not take a look at cheaper holiday options. Cheap can, as the saying goes, be cheerful and just by making a few choice adjustments you could have a sun packed holiday whilst making significant savings. Firstly choose carefully when to travel, because travelling out of peak season can dramatically affect the amount of money you can save. Travel at this time and you may also find that resorts are less populated and what would have been a busy resort may well be a much more tranquil site. Less competition for space at the pool or on the beach is matched by knowing you`ve saved money and therefore don`t have to panic about what you have left to spend at the end of your stay. It is also worth consider opting for a half-board or self-catering holiday instead of full-board and all-inclusive; do you really need to pay a premium for buffet food? Half board or self catering has a number of advantages, including a greater amount of freedom to explore your destination. With a self catering holiday you aren`t tied to a hotel schedule so you can sleep in or explore the area without having to watch the time and you can do longer day trips without feeling like you`ve paid for something you aren’t getting. In addition you will be able to cook all of your own meals which means you only need buy what you want and will probably pay less as a result. Of course really big savings can be made by making careful choices about how far you travel. It is certainly possible to find great weather nearer to home and without flying for thousands of miles. Possibly the best combination for weather and distance travelled would be to head for the Canary Islands which, although just off the coast of Africa, are Spanish colonies. The Canaries are always warm, the temperature seldom dipping much below 20 degreesC all year round, with pleasant breezes taking the edge of the heat. Certain islands are more popular for holiday makers than others of course, but each can offer its own unique attractions and if you find the right deal, can be reached at a great price. Lanzarote and Tenerife are very popular all year round with Fuerteventura providing a paradise for those that love watersports such as diving and windsurfing. The bigger the resort the more choice and competition for attracting holiday makers there is, which can often drive the price of travel and accommodation down. Subsequently you`ll find some great deals for holidays at these larger resorts, including those based in Corralejo, the largest resort town on Fuerteventura. Choosing from a range of cheap holidays in Corralejo visitors can enjoy everything this vibrant and friendly destination has to offer without worrying about how much money it`ll all cost. 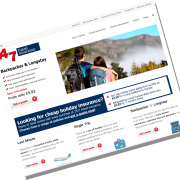 Don’t forget your cheap travel insurance from 24/7 travel insurance which includes cover if your personal possessions are lost or stolen. Please read the policy wording to ensure you are familiar with your cover.